Paige Kiecker is a marketing specialist at the YMCA of the Greater Twin Cities in Minneapolis, MN. 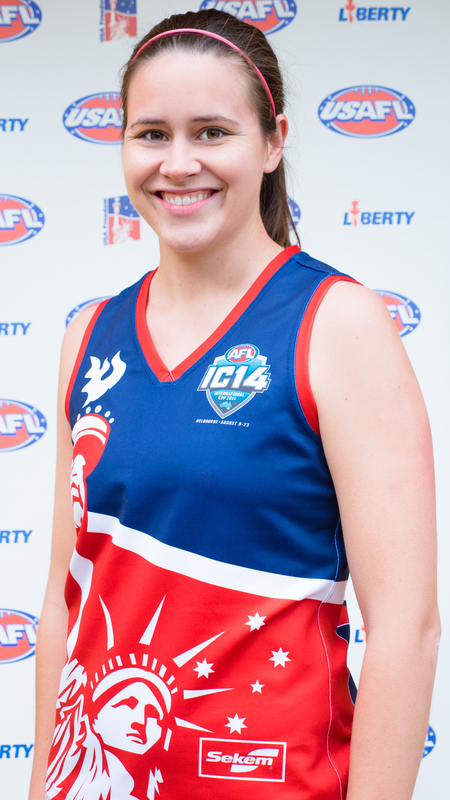 A lifelong athlete, she instantly fell in love with the fast-paced, dynamic playing style of footy and recorded her first appearance with the USA Freedom program in 2015. When not tackling forwards on the field, Paige enjoys hiking, cooking and being perennially disappointed by the Minnesota Vikings’ playoff prospects.